American "Rodders" sometimes find it hard to believe a "Limey" could start a shop that turns out traditional rods and race cars like they'd been doing it for generations. After six years as a production manager at Kugel Komponents, English born hot rodder Steve Dennish opened LimeWorks in 1994. 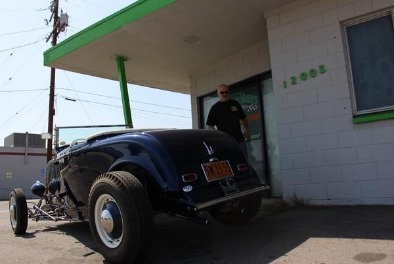 It quickly evolved from a one man repair shop to a full service hot rod facility. Now after 20+ years, we have decided to concentrate on our line of traditional Hot Rod Parts. We will be expanding our product line at our new facility in Carson, California. Please be sure to check out our website for updates and new product. If you are currently building or upgrading your hot rod be sure to give us a call. We are committed to great customer service and quality parts.